« A Celebration of Food & Wine! Did you know the 100 Point Rating system in wine was created by wine critic Robert Parker in the 1970’s? And it’s very commonly used today. In my opinion, it is the name of the blog – this man is genius. If you enjoy wine, but don’t know much about wine, going into a Liquor Store or Wine store to purchase wine, it can be an intimidating thing. I hear this all the time from people. And, because French wine tends not to be labelled by their grape, but by region, it can make French wine a little more difficult. This man, Robert Parker, made buying a good bottle of wine a little easier. Good for him. The average person can walk into a store, see a bottle of wine with a 90+ Rating, and feel that they are getting a decent bottle of wine. Not everyone is a fan of the 100 Point Rating System. 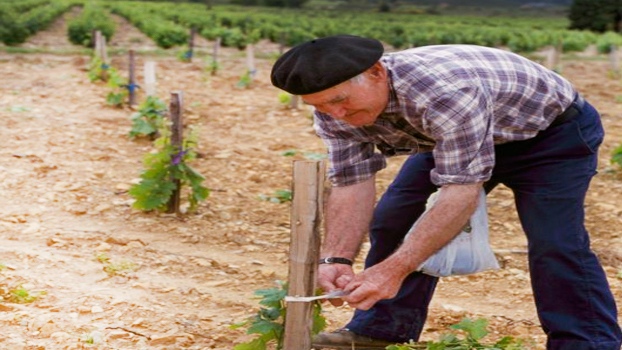 Many critics say it is flawed because it downplays the influence of terroir and tradition – what some consider to be two very important guiding influences in the making of Old World Wine. Terroir is the influence of soil, slope, elevation, exposure and climate. Tradition relates to the traditional ways of making wine still being used in France and other parts of the world. It took an American wine critic to change things. Imagine how the French felt about that. Along comes Robert Parker, an American Wine writer, that gave Bordeaux a much-needed boost in the World market. Parker predicted the success of the 1982 vintage and a whole new game was in play. Higher prices and new customers in new markets soon followed. It is said he likes a particular kind of wine, full-bodied with lots of oak. And many critics like to refer to it as the ‘Parkerization’ of wine. Mr. Parker has said he scores wine on how much pleasure they give him. You see, with the 1855 Classification system, it was the position and reputation of the ‘Chateau’ that determined how much they charged for a bottle of wine, dating back unchanged from 1855. Parker noted with the obscurity, corruption and other problems of this system, his ‘consumer-oriented’ approach was made necessary. And although Robert Parker is not responsible for all the changes, as consumer demand and fame started to grow in Bordeaux, Robert Parker’s fame grew with it. And I would like to thank him. I am training to become a Sommelier and learning about the regions of France, and let me tell you first hand, it can be confusing. Robert Parker made buying good wine easier for all of us. Cheers Mr. Parker. Till next week, I hope you enjoy a bottle of wine that Robert Parker has given a good rating! This entry was posted on October 26, 2013 at 2:45 pm and is filed under Wine. You can follow any responses to this entry through the RSS 2.0 feed. You can leave a response, or trackback from your own site.